ATLA staff are hard at work upgrading our systems to improve your membership experience. Many of the changes are “behind the scenes” and will help ATLA staff be more efficient in our work with members, publishers, customers, and partners. One of the first stages of these upgrades that will be visible to members is our new and improved membership web portal. 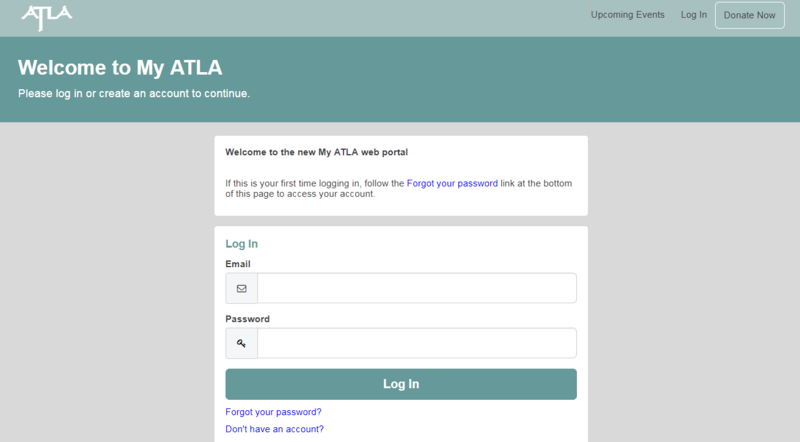 The new My ATLA web portal is the place where you will be able to view membership information, update contact information, track participation in member benefit programs, register for events such as the annual conference, access the membership directory, and pay any open invoices. As part of these upgrades, we are also improving the conference proposal submission process. Due to these upgrades, the timing of membership renewals and the conference proposal submission process will be delayed. Membership renewal letters will be sent at the end of August and the call for the 2019 ATLA Annual Conference proposals will be open in September. More upgrades are coming soon, including a new community area for members and a new website. Thank you in advance for your patience through this transition. We anticipate a significantly improved membership experience and hope these upgrades will be a welcome change. If you have any questions or feedback about these changes, email us at memberrep@atla.com.